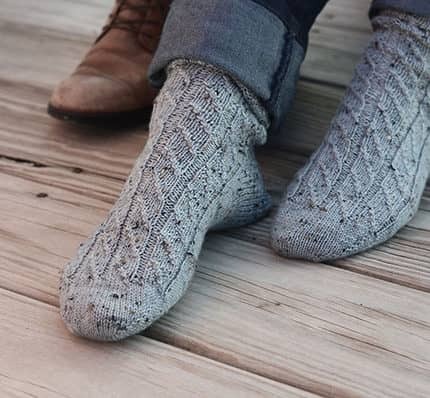 A collaboration between New England Knitting and Toil & Trouble, the Osceola Mountain socks are cozy, mock cable socks inspired by hiking in the White Mountains of New Hampshire. Available as a kit through Toil & Trouble! Two yarnies based out of Salem, Massachusetts, partnered up to create a perfect fall project! 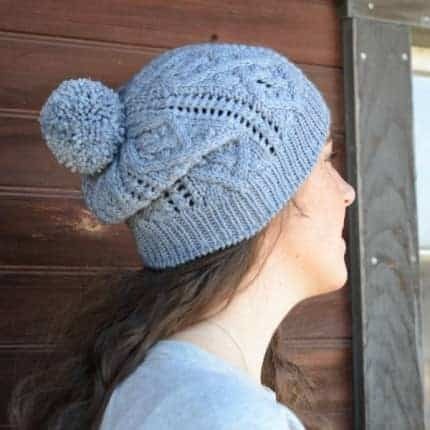 Micalet is a slightly slouchy beanie that has integrated cables and eyelets designed for fall weather. The design was inspired by patterns carved into the stonework at the Torre del Micalet in Valencia, Spain. See the kit here.